Pre-drawn House of Quality (HOQ) symbols like single column, single row, right matrix, bottom matrix, roof matrix, left roof matrix, HOQ, text block, legend and more help create accurate diagrams and documentation. 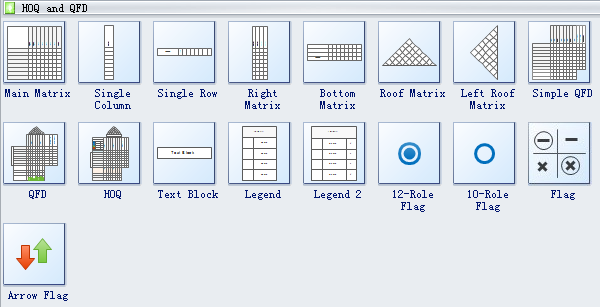 Edraw HOQ templates provide you plenty of special shapes used in the HOQ charts, main matrix, single column, single row, right matrix, bottom matrix, roof matrix, left roof matrix, HOQ, text block, legend, 12-role flag, 10-role flag and arrow flags, etc. 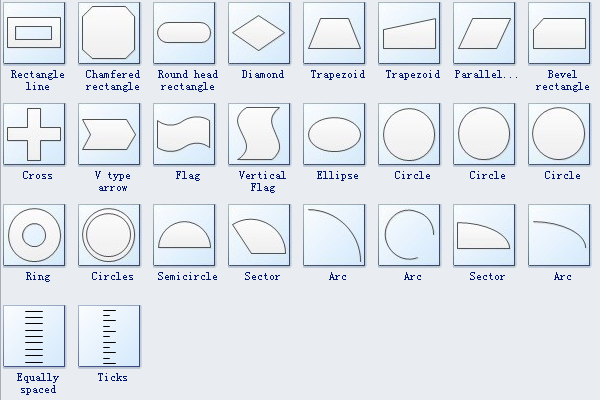 With these special shapes, your HOQ chart will look more professional. 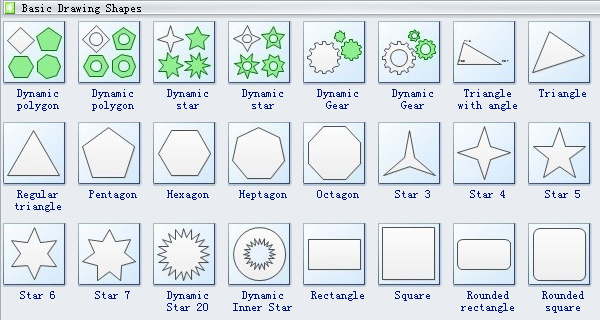 HOQ shapes like main matrix, single column, single row, right matrix, bottom matrix, roof matrix, left roof matrix, HOQ, text block, legend, 12-role flag, 10-role flag, arrow flags and more are available here. Legend is a concise explanation of the symbols used in a chart, diagram, drawing, map, table, etc. A legend is usually conspicuously displayed in a tabular form. The structure of HOQ matrix resembles that of a house, which aids in determining how a product is living up to your needs. Text block breaks up long texts into shorter "blocks" so that they have a clear separation between them . Pentagon is a plane figure with five straight sides and five angles. Square is a plane figure with four equal straight sides and four right angles. Star is a conventional or stylized representation of a star, typically having five or more points. Arc is a part of a curve, especially a part of the circumference of a circle. Scale is a mark or division or all the marks or divisions that indicate measure on an instrument or vessel. Need fresh looking House of Quality (HOQ) symbols for your design? These House of Quality (HOQ) symbols are a cinch to pop in. And their crisp, fine detail will make spectacular, easy-to-understand diagrams and presentations to your customers.